Have you ever had symptoms of dizziness or issues with balance? If so, you may have been suffering from a temporary condition called Vertigo. Vertigo is a condition caused by issues within the inner ear. These issues may include calcium particle build-up in the inner ear or an imbalance of fluids in the inner ear. Meniere’s disease, which some think may be hereditary, is a condition that causes fluid to build up and put pressure on the inner ear, causing vertigo. Another cause of vertigo is a viral infection of the inner ear nerves called Vestibular neuritis. Dizziness. If you are suffering from vertigo, you may experience a dizziness you can’t shake, and distorted balance. You may feel a spinning sensation or that the world is tilted or swaying, and feel as if your body is being pulled in one direction. Migraine Headaches are another common result of vertigo. The fluid or calcium build-up in the inner ear can cause a sensation of being off-balance and trigger intense head pain. Nausea may also result from vertigo, as it is a common symptom when feeling dizzy. An unbalanced feeling of spinning or falling can make your stomach feel uneasy and even cause vomiting. Tinnitus, or ringing in the ears, can also occur when suffering from vertigo. If it continues, tinnitus may become more intense or continual and sound like a loud buzzing. Fatigue can also result from vertigo. The unbalanced feeling of vertigo can be physically exhausting and cause a lot of pain, which in turn causes emotional stress and fatigue. Sweating. A vertigo attack can be stressful and cause panic, which in turn can result in sweating, especially on the head, neck, chest and forehead. Clammy chills from this perspiration may result. Hearing loss can also be a result of vertigo, particularly if it is as a result of Meniere’s Disease. This low-frequency, progressive hearing loss often affects only one ear, and hearing may take on a “tinny” quality, making loud noises painful. As it is progressive, hearing loss may become worse over time, and can eventually lead to complete deafness in the affected ear. 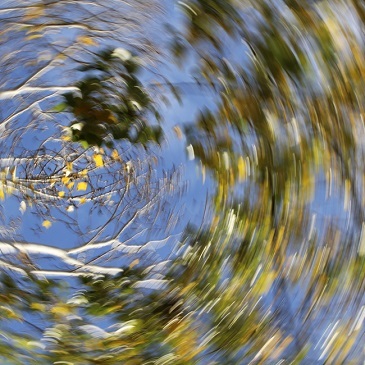 Eye twitching can also be a symptom of vertigo. Twitching eyes can result from stress and fatigue, causing the eyelids to spasm for extended periods, from a few hours to a several days, but this symptom can be alleviated with rest. Ear pressure is a feeling of pressure inside of the ear and can be caused by barometric pressure shifts when vertigo is setting in. Pressure changes such as descending in an airplane can trigger this feeling. Panic Attacks. Energy-draining panic attacks lasting as long as 30 minute have been reported with vertigo patients. The best way to alleviate a panic attack is to lay down, relax and try to calm yourself until it passes.